Ken started his career in financing side of things working with the largest lender in manufactured housing at the time. As an entrepreneur, he was influential in putting together the largest private placement of its type on Wall Street. 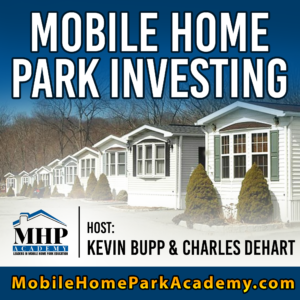 Ken brought together some of the premier retailers in the Manufactured Housing Industry with that $30 million investment. He later became President of one of these companies. In fact, there were MORE manufactured homes sold at Ken’s address than ANY other address ANYWHERE in The United States. That record still stands today. Ken received his MBA from the University of Michigan and is a former advisory consultant to The American Graduate School of International Management. He’s also on the board of trustees of Habitat for Humanity. Today, Ken travels throughout North America and has spoken to over 2,000 organizations; including over 400 communities, retailers, manufacturers and associations in the manufactured housing industry. He’s the only 3-time recipient as “Professional Speaker of the Year” in specialty housing and is a Certified Management Consultant.